Today's American Business Awards judging chair and committee spotlight is for the HR Awards committee. This team of 8 will determine who takes home Stevie Awards in the three Human Resources Awards categories. Speaking of human resources, have you heard about the Stevie Awards for Great Employers yet? Check it out here. More details to come soon. If you are interested in submitting your HR team, department, or executive in The American Business Awards, you still have time. The final deadline has been extended to April 19. Narasimhan Srinivasan (Narsi) is the Vice President and Head of Human Resources for Tata Consultancy Services (TCS) in North America. He has been with TCS for the last 22 years. Narsi’s career spans 27 years, and during that time, he has played multiple roles in Delivery, Business Development and Human Resources areas in the IT Industry. He has been working in Human Resources for the last 9 years. His key roles at TCS include Global Head of Learning and Development, Head of Organizational Effectiveness, HR Director– APAC, Regional Manager–Bristol, UK, and Client Partner for Standard Chartered Bank, Target, AXA, and Nedcor Relationships. Narsi graduated from Birla Institute of Technology and Science, Pilani, India, with a Master ofScience (Hons.) Chemistry, and a Master of Science (Technology) Computer Science in 1985. Narsi is very much interested in sports and plays cricket and golf. Minerva M.Garcia is the Vice President of Human Resources at Accordant Media. She is responsible for all human resource functions for Accordant Media. Her areas of responsibility include recruitment and staffing, benefits, leadership development, performance management, training, and employee relations. Progressive and dynamic Human Resources Leader with 16 years of experience. Bob is an adjunct professor at the DeSales University's MBA School. He has served as an adjunct professor at Philadelphia University, California State University and UCLA. He has also served as Director of Global Training for Pfizer and Director of National Training for Nabisco. He earned an MBA from California State University. At Pfizer, he trained more than 5,000 executives in 40 different countries in a dozen different languages. Executive leader with extensive expertise in the vision, design, and implementation of human capital strategy from emerging concepts to high-growth corporations and from quick service restaurants to polished casual dining working across the private, private equity, and public company domains. Kirk provides HR leadership and services that help fuel the continued growth of one of the Internet's premier, original digital media companies. Tracy has been in the recruiting/HR field for twelve years. Tracy currently works for The HR Source. The Stevie Awards would like to thank the 2016 American Business Awards Website and App Awards judging committee. Now through the end of April, the professionals listed below will determine the Stevie Award winners in over 55 categories for websites and apps. It's not too late to submit your 2016 American Business Awards nominations. All organizations operating in the U.S.A. are eligible to submit nominations -- public and private, for-profit and non-profit, large and small. The 2016 awards honor achievements since the beginning of 2015. Eric Farr is a Principal at BrainStorm, Inc., a leading provider of end-user adoption and change management solutions. BrainStorm’s mission is to change the way the world works. On top of changing the way the world works, BrainStorm is known for being one of the best places to work in the country. BrainStorm was named to Outside’s Best Places to Work for the fourth consecutive year, three time Utah Business Best Companies, and was featured twice on Fortune.com for being one of the 100 best places to work for both women and camaraderie in the nation. Corporate culture isn’t the only award-winning aspect of the company: BrainStorm has also been recognized by Microsoft, Zip Recruiter, and, of course, the Stevies for their outstanding products and services. Eric, recently named one of the Ten Coolest Entrepreneurs by Utah Valley Business Q Magazine, has over 20 years of experience in entrepreneurship and business leadership, and has been instrumental in building BrainStorm’s unique relationships with its customers and partners. In Eric’s free time you can find him exploring each corner of the world, often on a motorcycle. Eric was thrilled to have BrainStorm honored in the 2015 Stevie Awards and is looking forward to being the Chair of the committee judging the Website and App Awards for the 14th annual American Business Awards. 30 years in marketing and publishing has allowed Stephen Berner the opportunity to lead high-profile marketing programs, ranging from visual identity, brand development and retail environmental to magazine relaunches, major consumer events, as well as product packaging programs and a range of interactive initiatives for an exceedingly diverse client list. Lee Caswell is vice president of Product, Solutions and Services Marketing at NetApp, where he leads a team that speeds the customer adoption of new products, partnerships, and integrations. Lee joined NetApp in 2014 and has extensive experience in executive leadership within the storage, flash and virtualization markets. Lee holds a bachelor of arts degree in economics from Carleton College and a master of business administration degree from Dartmouth College. Suzanne has over 20 years of international, award-winning experience creating groundbreaking integrated solutions for highly recognizable clients at world-class agencies. Suzanne is currently Executive Creative Director at Acxiom, responsible for setting the overall strategy of Acxiom Impact creative agency, advising clients on creative strategy, and leading business development for the agency while strengthening the creative offering and growing the creative business. Joy Deep Nath is a computer science engineer turned entrepreneur who believes in harnessing the power of mobile and web technologies to create useful products and profitable businesses. Having founded two edtech startups, Joy has taken up roles from writing code to, marketing to biz dev and partnerships to successfully grow his companies. Frank is the Director of Business Operations for the Scaffidi Restaurant Group, overseeing four divisions of an ever-expanding food service corporation. He is also involved multiple community and civic organizations as well as attends school full time to further his education with graduate studies. Passionate about data driven marketing that creates relevant, compelling customer experiences and drives top line revenue. Ananda Jagoda is Chief Creative Officer at Smart Media The Annual Report Company. Over the past twenty years he has led creative and strategic teams on numerous award-winning projects in the field of Corporate Communications. Creative Director + Freelancer + Web Designer + Graphic Artist + Teacher = Never a Dull Moment! JP Jones is a serial entrepreneur with four successful start ups under her belt. Author of several books, JP utilizes her experiences in business to teach and mentor others. Staying on top of business is her job, teaching it to others is her passion. Frank is an International award-winning Creative Director, creative leader with 35 years of innovation and success in brand building and bottom-line results through general, direct and experiential marketing. Mia Mabanta is Quartz’s director of marketing and revenue products. Mia has spent her career bringing innovative business strategies to different industries, first at the Brookings Institution, where she advised private and public sector leaders on underserved markets, and later by helping to start HelloWallet, an award-winning financial guidance service that was acquired by Morningstar. Her work has been featured in the New York Times, Wall Street Journal, BusinessWeek, Harvard Business Review, and others. Mia has a BA from Colgate University and an MBA from the Stanford Graduate School of Business. Andrea Meyer has worked on both the agency and client side of PR with internal communications and marketing in the mix. Andrea has had the privilege to work on a host of stellar brands including Cartier, Lucasfilm, Montblanc, Sony (the North American launch of the PlayStation), Verizon, Weber and Toyota. Sarah Miller is the CEO of Axis PR & Entertainment, a high profile PR and Event firm for the Entertainment and Technology Industry. Sarah is one of th most influential leaders in tech and entertainment. Axis has won numerous industry awards for its work with start ups and brands alike. Axis also owns and produces the Mobile Excellence Awards, now in its 9th year, MEA Europe and Hute-Tech Runway show. Serving as Director of Learning, Nick works with and trains new clients for success with implementing their online learning courses. I'm an award winning social media strategist with 17 years of professional communications experience. I've worked in various industries including television news, crisis management and state government. With more than 20 years experience in digital marketing, Barry leads Finn Partners’ Insights team focusing on online and social media research, analytics, planning and measurement for clients operating in consumer, healthcare, education, government, public affairs, travel and technology sectors. Holding positions at AOL, Porter Novelli, Active.com, Sage Software, Widmeyer Communications and Finn Partners, Barry’s body of work has been focused in the digital strategy and measurement for clients such as Hyundai, Blue Cross Blue Shield, Steelcase, Rosetta Stone, HP, Nestlé, Pfizer, Chase, Pearson, and Reed-Elsevier. Entrepreneur (multiple multi-million dollar exists including a IPO), angel investor (hundreds of investments), educator (BYU), and mentor. Expert in lean startup and startup companies. Over the past decade, Cory Taylor has led customer experience teams within leading startups and products. Companies include Webs, Squarespace and Vistaprint. He's implemented organizational structures, processes, channel development and metrics for two core goals - product feedback and operational efficiency. Matthew Toren is an award winning Author, Serial Entrepreneur, Mentor & Investor. Co-Founder of iSmallBusiness.com and YoungEntrepreneur.com which was acquired by Entrepreneur Media in 2011. Adam, along with his brother Matthew currently own and operate a successful media company which includes several online companies. The brothers are the authors of the award winning book: Kidpreneurs.org. Their latest book is called Small Business BIG Vision - Lessons on How to Dominate Your Market from Self-Made Entrepreneurs Who Did it Right - SBBV.com. Karri is responsible for strategically growing the business by nurturing relationships with new clients and partnerships interested in tailored and flexible services and by spearheading Continental Stock Transfer & Trust’s brand and marketing efforts. She has more than 28 years of service in the industry, most notably 23 years with a Fortune 500 financial institution.She is a member of NASPP, SSA and NIRI and President of Midwest Securities Transfer Association. Marie Wiese is founder of Marketing CoPilot, a leading Canadian digital marketing agency that helps companies’ increase sales using digital and content marketing. She is an entrepreneur, keynote speaker, mother and writer. Marie has spoken at industry events for the Canadian Marketing Association and Marketing Sherpa in the United States. Stafford Wood works at the intersection of technology, design and PR as founder of Covalent Logic. The digital public relations firm recently won 17 awards from the AAF including three Best-In-Show awards for Copywriting, Integrated Campaign, and Interactive. She was also named Junior Achievement’s Young Businessperson of the Year. The Stevie Awards would like to recognize The 2016 American Business Awards Customer Service and Support Awards judging committee. These category groups are small but mighty. Learn a bit more about the professionals in these categories who will determine the Stevie Award winners. There is still time to submit your nominations in the customer service and support awards categories. The final entry deadline has been extended to Tuesday, April 19. Steve Fulmer is the Senior Vice President of Government Guaranteed Lending at First GREEN Bank, a “local bank with a global mission” that endeavors to do the right thing for the environment, and the company’s people, community, and shareholders. Steve oversees all Small Business Administration and US Department of Agriculture Business Lending in Florida for the bank. Steve has over 8 years experience in banking in Central Florida. He currently serves on the executive board of the Oviedo/Winter Springs Chamber and the steering chairman for Future Leaders of CREW Orlando. Steve has a Master’s Degree of Business Administration from the University of Phoenix and is a US Army veteran. Proud veteran of our U.S. Armed Forces and 25+ year veteran of the support industry, to include both front-line [retail sales] and back-office [administrative, operational and bi-lingual customer relations]. Emilia DAnzica is the VP of Customer Engagement at WalkMe, the worlds first enterprise guidance and enablement platform. Her primary goal is to ensure customer success and to share customer stories. Sandra Finn has been awarded numerous Stevie and other awards during her 15 year tenure as President of Cross Country Home Services, a national home services company. The companys success reflects her expertise in Marketing, Customer Experience, and development and execution of significant new products, clients, and technologies. Lisa Gregovich is an experienced call center/customer service leader who has held leadership positions at a diverse selection of contact centers over the last 10 years, including Prime Therapeutics, Paychex (ePlan Services) and Time Warner Cable. Lisa has over 15 years of contact center and customer service experience. In addition, she has a MBA, serviced on the Board of Directors for CSAE and has been a judge for the Stevie awards since 2010. Experienced Service Operations leader with deep expertise in navigating change, leading larger service operations while realizing significant and sustainable results. Started my career as a Clinical Psychologist, taught at University of Karachi. With training in Business Management, moved to Unilever Pakistan and continued for 17 years. In 2004 started own Consultancy firm for Marketing Research which is growth to success. Kevin is experienced in marketing technology solutions to improve the recruiting, hiring, performance, and quality of customer service professionals. He has held executive marketing, product management and business development roles with leading companies serving the customer contact market. He is a frequent contributor to industry publications and is a sought-after speaker at industry events. Result oriented professional equipped with 19 years of core Ecommerce, B2B and B2C domains. Background includes managing extensive critical top notch high end applications and systems spread across global infrastructures. Deb has extensive experience in both the telecommunications industry and customer care and helpdesks. Prior to joining nexVortex, she oversaw BAEs service desk, which was responsible for serving the needs of 53,000 employees all day, every day. She has worked at multiple telecom organizations including Neustar, Startec Global, and Teligent. With over 20 years of experience, developing strategy and leading global business teams in specialty chemicals, Tom brings a unique perspective to the judging process. Tom holds an MBA from Villanova University and has spent post-graduate time in executive education at Harvard Business School. Lou has run service organizations with technology companies in the Boston area for over 25 years. With companies ranging in size from startups to Fortune 500 companies, he has built and lead pre- and post-sales technical service teams focused on outstanding customer service. Kim Seney leads the Marketing Operations team at CSAA, a AAA company. Prior to AAA, she was Director of Operations at APS, responsible for the customer service needs of one million electric customers throughout Arizona, where her team received the 2005 Stevie Award for excellence in Customer Service and Communications. Teresa is the Broker-Owner of Blue Sky Telecom Brokers, a company that takes a consultative approach to helping businesses choose the right Telecom or Cloud provider for their business. With over 30 years in the industry Teresa prides herself on making things a little easier for her clients. See the listing of all 2016 American Business Awards judging committees here. Did you know The 2016 American Business Awards extended the final entry deadline through Tuesday, April 19? There is still plenty of time to submit your nominations. Learn a bit more about who is judging the Company / Organization submissions in The ABA's this year. The American Business Awards are widely considered to be the premier business awards program in the U.S.A. All organizations operating in the U.S.A. are eligible to submit nominations -- public and private, for-profit and non-profit, large and small. The 2016 awards honor achievements since the beginning of 2015. Entry details are available at http://www.StevieAwards.com/ABA. Rob Frost is Vice President, Customer Care for Carbonite, a leading provider of hybrid backup (cloud and local) and recovery solutions for home users and businesses. Rob is hyper-focused on customer satisfaction and sets the highest standards for customer service. As VP of Customer Care, Rob and his award-winning, global customer care team continually strive to make sure every customer interaction is a positive experience. Prior to joining Carbonite, Rob was Director of Client Services and Technical Support at Intronis. Rob also served as Senior Director of Support and Global Client Relations at Acronis, where he spent three years in Moscow, Russia, delivering global support in nine languages. As an executive in the tech world since the 80s, Im always learning. My experience ranges from international marketing director to president of RAD Data Communications in the US; founding Vantage PR in 1990 to acquisition by PAN Communications in 2015. The best part is connecting with amazing people. Cherry Foster is Senior Vice President and Chief Digital Officer. She oversees media and social relations for clients in a broad range of industry sectors including retail, restaurant, real estate and emerging technologies, and directs the agencys social media practice. With extensive experience in the retail sector, Cherry Foster also counsels clients on retail theory as well as sales and communications strategies. Dave Craig is Vice President, Human Resources for the 220-unit, Lexington, KY-based Fazoli's Restaurant chain. A native of Akron, Ohio and graduate of Ohio University, Dave has been in the restaurant industry for over 30 years, including 20 years with Fazoli's as the Company's senior HR leader and 10 years in various HR roles with the Long John Silver's Seafood chain. Dave and family reside in Lexington, KY.
Dennis Gallagher is a Customer Service professional with 20 years of experience managing Customer Service based organizations in the Telecom, E-Commerce, Media, and Hotel / Casino industries. Dennis feels that customer satisfaction is directly proportional to his employees' satisfaction, and so he has approached his Management positions with this in mind. His strategy of taking care of the folks who take care of customers has proven invaluable in building world class service organizations. Dennis focuses on creating enjoyable working environments to build loyal, hard-working and successful teams. Eric Halvorson is a Senior Vice President in the Treasury Management Group. Based in Minneapolis, he is responsible for Operations, Implementation and Client Support for the newly created, enterprise-wide Banking as a Service Channel. Eric has a wide range of experience in consumer finance, treasury/cash management, mortgage and banking spanning more than 20 years. Prior to moving to Treasury Management, Eric managed operations for Wells Fargos Joint Venture mortgage companies. Fatih Hidirligil, born in Turkey 1977, has Bachelor’s and Master’s degrees in Economics and Business Administration, with expertise in import and export. He is CFO running his wife’s Christmas businesses with acclaimed success, and they have a precious son. He serves on the board of a non-profit organization. Born in Turkey in 1978, Neslihan came to U.S. in 2002. In 2004, she found that her passion is to spread Christmas spirit year-round, and her ornaments now hang worldwide. She is the largest Christmas retailer on the East Coast, and designs the ornaments and displays at her stores. Jaimon Jacob, a Master of International Business, has over a decade of experience in addressing operations management and organisational excellence. He has been instrumental at work on designing, developing and establishing systems for critical elements of Business Excellence such as Strategy Deployment, Performance Management, Continual Improvement, Break-through and Daily Work Management, among others. My name is Anila Kalleshi. I'm 44 years old and I am from Albania. I am a nutrionist and I run the most successful Weight loss center in Tirana. I've written 5 books: "How to loose weight", " Diet?! Not only", "Challenges Diet", "28 Day Diet" and "Live Healthy". Jennifer has served in customer advocacy roles for over 20 years. She was recently one of six customer experience practitioners globally to be recognized with the 2015 Customer Experience Professionals Association (CXPA) Impact Award. Jennifer currently runs Activisions Voice of the Gamer program and manages its Customer Service Analytics team. Greg Merril served as CEO for four VC-backed companies. He led HTMedical through a $42M merger with Immersion Corp. He delivered fifty+ lectures/keynotes covering VR, medical, and consumer electronics. An inventor with nineteen patents, he is recognized as a TEDMED Innovation Scholar. 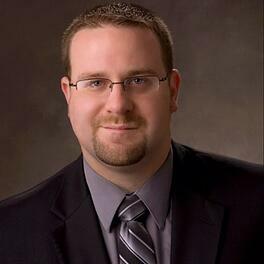 Greg Merril is a regional Ernst&Young Entrepreneur-of-the-Year winner. Vaughn Mootoo is the Production Operations Category Manager for the Chevron San Joaquin Valley Business Unit. He is responsible for developing contracting strategies, leading strategic sourcing events, managing supplier relationships, and leading category management initiatives that lower the total cost of ownership while maintaining operational excellence. Previous roles at Chevron include global category business analyst and supplier diversity coordinator. Don Pearce is currently the Owner of Pearce Advisory Services, a Company specializing in helping companies increase sales. Before then he served as Vice President for the Texas division of Alliance Technology Group and before then he held Executive Sales Management positions with Sun Microsystems, STK, Amdahl, and IBM. He has serves the Advisory Board for the Computer Science Engineering Department at Southern Methodist University and holds a B.S. in mathematics from SMU. He earned a M.S. in mathematics from Louisiana State University, where he also taught Mathematics for two years. Mr. Pearce is also a recognized leader in business management with a significant track record of success including 32 years achieving over 100% of his team's revenue quotas. Churchill Dass Prince is a well-known Research person and an Industry Thought Leader, in multiple industries. He founded a Sales Intelligence Company named "Sales Intelligence Services, Inc" and "Sales Intellect Company" with his trademark "Sales Intelligence(tm)", based on his award winning software innovation during 2003. Churchill Dass Prince has presented 100+ research papers in International and national conferences and honoured as "Chief Guest" in 100+ International and National Conferences. Noah Rowles is the founder of iolo technologies, a worldwide leader in the performance optimization software market. As CEO he led the business through 15 years of autonomous growth, profitability, and market leadership that ultimately culminated in a successful acquisition. As a self-taught technology architect, inventor, strategist, and multiple patent-holder, Mr. Rowles enjoys fostering high-growth business environments that produce game-changing results though a contagious spirit of innovation, quality of design, and collaborative efficiency. B35. Startup of the Year (for companies that began operations since January 1 2014). B36. Tech Startup of the Year (for companies that began operations since January 1 2014). B46. Veteran-Owned Business of the Year: A new category for 2016. This category will recognize the achievements since January 1 2015 of businesses in the U.S.A. that are owned by veterans of the U.S. Armed Forces. See all of the Company / Organization categories here. Singapore Power won the Gold Stevie Award for Best PR Campaign: International Communications in the Communications/PR Awards categories of the 2015 Asia-Pacific Stevie Awards. The final entry deadline for the 2016 Asia-Pacific Awards has been extended to Wednesday, April 6. We asked Amelia Champion, Head of Corporate Affairs at Singapore Power, what the Stevie award has meant for her team, and for some insight into how Singapore Power plans to continue to Power the Nation. Singapore Power embarked on a corporate positioning exercise in 2013, with a focus on the company’s role as a reliable and efficient power utilities provider, an employer of choice, and a proactive developer of engineering talent. The journey covered a perception audit among consumers, employees across different employee strata and engagement with the Board and Senior Management. The result was a corporate position—centered on the aspiration of “Powering the Nation”—adopted as the positioning statement. This position is supported by the three pillars of Trust, Technology, and Talent. The main target audience included employees and prospective employees, customers, and the public. Engaging employees in this journey was an essential component for the campaign’s success. Singapore Power (SP) launched the “Powering the Nation” positioning internally among its employees at the annual staff convention, and through decentralized road shows using parallel simulcast streaming. A commissioned video featuring SP’s role in supporting nation building was screened at these events. The theme and key pillars were also delivered through 27 Group CEO dialogue sessions with staff between September 2013 and October 2014. SP introduced a new suite of internal communications channels named spectrum. These included a revamped staff portal featuring up-to-date information and important messages, fortnightly corporate news updates, a bimonthly spectrum magazine distributed to all 3,500 staff, and the “Power Talks” quarterly employee lunchtime platform to introduce the spectrum channels and enable staff to pick up useful information for professional and personal growth. Branded “Powering the Nation” collaterals and gifts such as notebooks and coasters were produced and distributed to all staff. To inspire organizational pride in all staff, SP also put up National Day celebratory banners with the “Powering the Nation” statement at central locations around Singapore. Results from the annual staff convention post-event survey revealed that the “Powering the Nation” statement resonated well with staff, who also exhibited high recall and receptivity to the key messages. As high as 96% of 530 staff who participated in the plenary session said that they felt proud of the company’s role in powering the nation. About 91% agreed that “I Power the Nation” accurately described their roles at SP. Not only has “Powering the Nation” been well-received by staff, they have spontaneously adopted the positioning statement within their own programs and presentations and now regularly use the it when introducing Singapore Power to local and overseas stakeholders. Amelia looks forward to the year ahead. As she told us, she is motivated by “the pride and fulfillment of being part of a team that keeps the lights on round the clock, contributes to Singapore’s economic growth and quality of life, and drives sustainable solutions to serve future generations. Amelia Champion is Singapore Power's Head of Corporate Affairs, overseeing corporate positioning, reputation management, internal communications, and corporate social responsibility. She built her career in healthcare and community service organizations. At the SingHealth Group, Amelia was Director, Group Communications, driving programs and initiatives to unify employees and to reinforce the Group’s standing in Academic Medicine. Prior to that, Amelia headed Public Relations, Patient Relations, Events, and Promotions at the National Kidney Foundation in Singapore. She was responsible for running nation-wide campaigns to promote organ donation; international healthcare conferences with marketing efforts in the US, Europe and Asia; policy-making; and for creating holistic self-help programs for patients. In her spare time, Amelia contributes to her school's alumni association as an executive committee member, and volunteers her services in her local parish. The Stevie® Awards, organizer of the Asia-Pacific Stevie Awards, announced today that the final entry deadline for the third annual competition has been extended to Wednesday, April 6. Judging of nominations will be conducted through April by more than 100 executives around the world. Gold, Silver and Bronze Stevie Award winners will be announced on April 20. The winners will be celebrated during a gala banquet on May 27 in Sydney, Australia. Some of the Asia-Pacific region’s most distinguished companies have won Asia-Pacific Stevie Awards in the past two years including Cisco Systems, Crocs Singapore, Delta Airlines, DHL Express, Ford China, Globe Telecom, MetLife Asia Ltd., Sony, and SYSPRO Software, among others. The 2016 (14th Annual) American Business Awards judging committees have been announced. There are 11 judging committees this year, each reviewing entries from respective category groups. Today we will highlight the Live Events Awards judging chair and committee. The American Business Awards are widely considered to be the premier business awards program in the U.S.A. All organizations operating in the U.S.A. are eligible to submit nominations -- public and private, for-profit and non-profit, large and small. The 2016 awards honor achievements since the beginning of 2015. Entry details are available at http://www.StevieAwards.com/ABA. The extended final entry deadline is Tuesday, April 19. Staci Johnson is the Vice President of Marketing for Roth Staffing Companies, one of the largest privately held staffing companies in the country. She heads the corporate marketing department and all its functions, including campaigns, website creation, digital marketing, email catalogs, social media, live events, virtual events, public relations, newsletters, branding … if it gets communicated, it goes through Staci’s Marketing team. Staci was the recipient of the 2015 Gold Stevie Award for Marketing Executive of the Year. With her help, Roth Staffing Companies has been honored by Fortune as a 100 Best Workplaces for Women and 50 Best Small & Medium Workplaces, as well as Best Staffing Firms to Work For by Staffing Industry Analysts, and Best of Staffing for both Client and Talent Satisfaction by Inavero and CareerBuilder. Staci’s Marketing team has been lauded with VOICE Awards from the American Staffing Association for five consecutive years and referred to as the best Marketing department in the industry. The team has also been recognized with B2B Marketing Awards. Jarie is an engineering by training and an entrepreneur by nature with over 20 years of bring innovative solutions to market. He is currently the COO of Lab Sensor Solutions, a digital health company that is applying sensor technology to track clinical samples to prevent spoilage. Marc leads the team with over 10 years of agency experience working on a diverse roster of brands. He is an accomplished luxury, automotive, and multicultural marketing executive with a proven ability to drive measurable business results. His focus on innovative strategic solutions building brand equity , driving scale and maximizing ROI help move his agency and clients forward. He has held roles on account categories from Sports and Television to Financial Services and Technology. Erin Farrell Talbot has 20+ years of public relations experience with firms ranging from start-­ups to Fortune 100 companies. Having held key roles in corporate communications departments and public relations agencies, she has developed keen insights and perspectives as a communications and media relations strategist. Katherine Goldman is SVP, Executive Creative Director at Jack Morton Worldwide in New York. There she has led strategy development and creative application for major clients including Verizon, IBM, UPS, Pitney Bowes, The Wall Street Journal, Goldman Sachs, CA Technologies, Panasonic and Xerox. Senat der Wirtschaft, CEO Global Leadership School, CEO Deutsche Gesellschaft für Stressmanagement mbH: "The business world is complicated. There are no 1 : 1 equations anymore. We need to synchronize our leadership and collaboration for any task, project or transformation - to avoid deadly double and blind work." Gerald Huesch offers this global evidence based leadership system. Phil Larson is a Senior Producer with one of the leading brand communications agencies in the world: INVNT. Specializing in creative services, meetings & events, media & digital, and branded environments, he’s collaborated and produced experiences for a wide range of clients that include: PepsiCo, Merck, SHRM, Subway, and MetLife. The Stevie® Awards, organizer of The American Business Awards, announced today that the final entry deadline for the 14th annual ABA competition has been extended to April 19. No additional late fees will be charged. Entries submitted through April 19 will not be penalized in any way in the judging process. “We’ve received so many requests for individual deadline extensions that we’ve decided to extend the deadline for everyone,” said Stevie Awards president Michael Gallagher. The original final deadline was March 16. GET THE ENTRY KIT HERE. The American Business Awards are widely considered to be the premier business awards program in the U.S.A. All organizations operating in the U.S.A. are eligible to submit nominations -- public and private, for-profit and non-profit, large and small. The 2016 awards will honor achievements since the beginning of 2015. Entry details are available at http://www.StevieAwards.com/ABA. New categories in the ABAs this year include Minority-Owned Business of the Year and Veteran-Owned Business of the Year. Close to 200 executives worldwide will determine the Gold, Silver and Bronze Stevie Award winners. The judging process has begun. Stevie winners will be announced on May 2, and the awards will be presented at a gala banquet on June 20 at the Marriott Marquis Hotel in New York City. Attendance is not required to win. The list of past Stevie Award winners in The American Business Awards reads like a who’s who of innovation and business success in the U.S.A. Explore the list of past winners here. Winners in the tenth annual Stevie® Awards for Sales & Customer Service, recognized as the world's top honors for business development, contact center, customer service, and sales professionals, were unveiled on Friday night at a gala ceremony in Las Vegas, Nevada attended by more than 500 executives from around the world. The complete list of Stevie winners by category is available at http://www.StevieAwards.com/Sales. DP DHL, with Gold, Silver and Bronze Stevie Award wins for their operations in 29 countries, won the Grand Stevie Award trophy as the most honored organization in the competition for the third year in a row. Other organizations that took home Grand Stevies, in recognition of the sheer number of awards they won, include Carbonite, Inc., Delta Air Lines, eMoney Advisor, LLC, GuideWell Connect, iHeartMedia, John Hancock Financial Services, Lennox Industries, Inc., Marriott Vacations Worldwide, Sales Partnerships, Inc., and Visualize. Carbonite and GuideWell Connect were the top winners of Gold Stevies, with five each. Winners of four Gold Stevies include Cisco Systems, HomeServe USA, Lennox Industries, Sales Partnerships, and WePay, Inc. eMoney Advisor, and iHeartMedia, each won three Gold Stevie Awards. Winners in the People’s Choice Stevie® Awards for Favorite Customer Service, a worldwide public vote, were announced in February, and were presented to winners during the ceremony. The presentations were broadcast live via Livestream, and the recording is available to watch online. More than 70 members of seven specialized final judging committees determined the Gold, Silver and Bronze Stevie Award placements from among the Finalists.